Details: Breakdowns in Victoria seem to be a recurring theme recently, and I have just received some more excellent photos which will appear next time around. 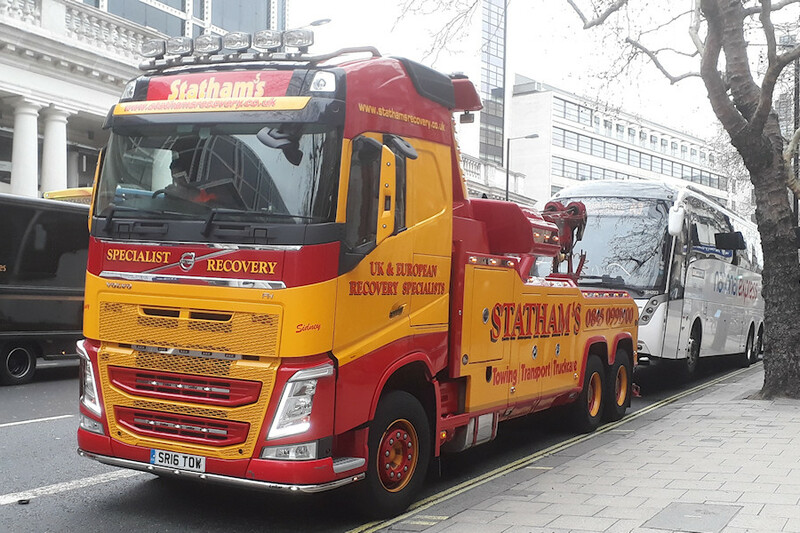 Last in the series for today is this view of Statham's Volvo FH SR16TOW, named 'Sidney', in the distinctive 'toyland' yellow and red livery. I've just noticed that the apostrophe in the fleetname is in the form of a hook!